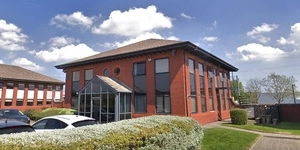 Vortex Court is situated on Enterprise Way within the established Wavertree Technology Park, on the outskirts of Liverpool. The Park is easily accessible and benefits from excellent transprt links with Junction 4 of the M62 less than 2 miles away. Liverpool City Centre is less than 3 miles away and there are a wide range of amenities available at Edge Lane Retail park opposite. The Park also offers outstanding public transport links with Wavertree Technology Park and Edge Lane stations only minutes away, and several local bus services within easy walking distance. The main Liverpool to London rail line lies adajcent to the scheme. 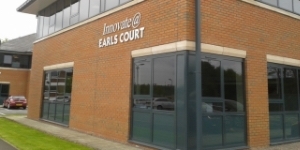 Vortex Court comprises of two modern office buildings set in an attractive landscaped environment. The buildings have been constructed to a very high standard providing a quality environment in which to work. 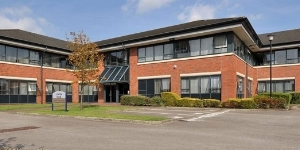 The two stroey buildings offer Grade 'A' office accommodation with an excellent parking ratio. Building 1000 extends to 14,202 sq ft, whilst Building 2000 totals 18,736 sq ft. 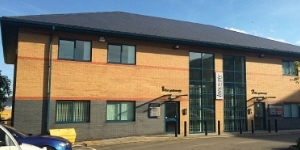 Both buildings can be divided into ground and first floor accommodation; and the Ground Floor within Building 2000 has already been fitted out to provide a range of open plan areas with individual offices, meeting rooms and kitchen space, which can be altered to suit an incoming occupier or removed to allow for an open plan working environment. 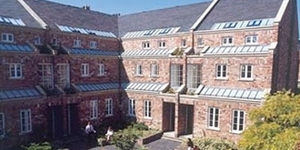 The buildings are available to let in a number of configurations. The EPC rating for building 2000 is B45. Copies of the indvidual EPC's are available upon request.